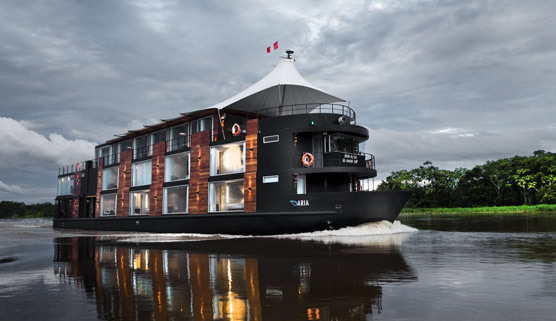 The 147-foot-long, new M/V Aria will be our second luxury cruise ship on the northern Amazon River in Peru. It is being entirely custom built for Aqua Expeditions by Peruvian architect Jordi Puig to offer an extraordinary level of comfort for our guests. 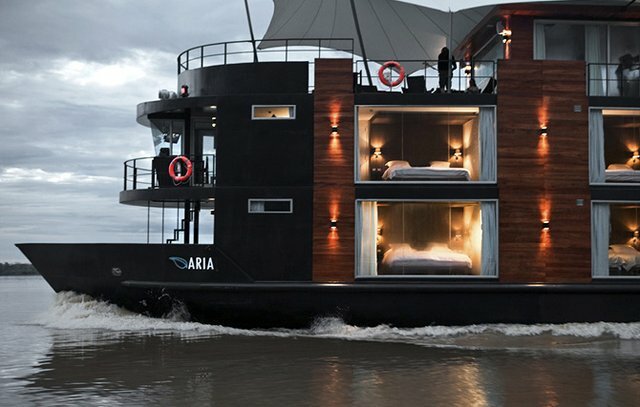 The M/V Aria can accommodate a maximum of 32 cruise ship guests plus crew. This luxury cruise ship is the perfect size to sail along the Amazon River, providing extremely comfortable lounge, outdoor jacuzzi, exercise room, dining and sleeping accommodations and modern navigation technologies and standards for cruise ship travel and safety on the water. 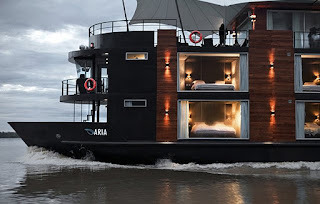 The M/V Aria’s sixteen oversized cruise ship design suites, feature en suite sitting areas and generous outward-facing picture-windows with panoramic Amazon river views. Each of the handsomely decorated, air-conditioned cruise ship suites measure around 240 square feet. Four of these suites can be interconnected, to cater to families.